OFW loan has just been made easier for application this year 2017. In most lending companies in the Philippines business industry, this non collateral unsecured credit has become the most-applied. This year, qualified borrowers have been expanded from overseas Filipinos who are about to go abroad to migrant and citizen workers with regular job abroad. This is the Pinoy Abroad Loan. The only important factor on approval of the said loan is if you can provide an immediate family member coborrower (children above 21 y.o. / sister or brother / parent and spouse or common law spouse (with children). Before, lenders do not usually allow seafarers who are onboard. This year, 2017, thru the Pinoy Abroad Loan program, onboard seaman loan is now open for application to qualified borrowers and allottee. The overseas Filipino worker loan is now open for application for those who are still in the Philippines. You must be able to provide and submit the listed requirements below. Please read our guide to increase your chances of getting approved on your loan application. For those who are already abroad, please visit our post on Pinoy Abroad Loan. Working as a freelance loan consultant for a lending company based in Makati, I learned that February 2013 is the year for OFWs. This has turned into a good business for me today since I am earning from the company on a regular basis by assisting borrowers. The reason is because of the said opening of the fast cash loan for OFW abroad again. The company is putting more investment to provide for OFWs this 2017. In the meantime, the management is working on the mechanics for other landbased worker cash loan. If you are an interested applicant, you must first see to it that you can pass the pre-qualification requirements to qualify and apply. You must have the complete and right documentary requirements listed below. Escape the hustle and bustle, apply by filling up our online form below. Before, this non collateral loan for OFWs has been re-opened to provide financial assistance as quick cash loan ONLY for PRC-licensed overseas Filipino workers (OFW). Today, the scope of applicants range from what is stated above to those who are in the household worker positions or domestic helpers. To apply to the nearest branch, please contact me to be your loan consultant below (my assistance service is 100%"FREE"). You may also send your questions and concerns to the email address below or call / send SMS txt message to the listed contact details. In the meantime, for your information, the lending company for which you can apply for this is the branch in Makati. For other branches, please see list below. See pre-qualifying requirements so you how to know if you qualify for the OFW loan prior to application form download and processing. Again, please be guided that as of now, this type of financial assistance is ONLY extended to PRC license holder professionals such as engineers, doctors and medical professionals, architects, nurses, accountants and more. Application date must start at least 15 days before departure and awarding of loan. Must be employed based from contract. If you are a PRC licensed nurse, your contract must state that you are to work abroad as a nurse and not any other position or job. Must have at least 20K minimum salary stated in the contract to be presented as an application requirement. Co-borrower must be an immediate family member (spouse, children above 21, parent below 60 sibbling, common-law spouse with kids). May be here in the Philippines to sign documents or already working / living abroad with regular job. Coborrower must apply in the office either thru email or Viber and appear personally to claim loan money as instructed. 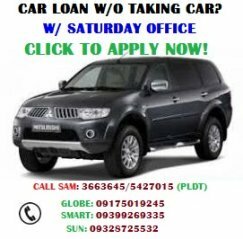 There are definitely other choices of loan that you can apply for in the Philippines. The secret really is with going for a loan consultant service that is first of all free and secondly, a personalized yet efficient. That is exactly what me and my team offer for being a loan consultant. We have as much as 6 lending companies to cater your application now and this list is still growing. For other cash advance sources, please see our list below.